A smart backpack is everything like your regular backpack, but so much cooler. For trekkers on the move, backpacks are likely a familiar travel accessory and close companion. Through check-in, security, boarding, customs, and any crazy adventures you get into, your travel backpack spends quite a bit of time on your person. If this is the case though, why then, are you not making your backpack do more for you? Smart backpacks do this and more! With amenities such as solar powered panels (aka power backpacks) and built-in battery packs, these technological beauties bring the modern day conveniences and luxuries of home to the open road. Thereby, smart backpacks aren't just fancy gadgets - they enable travelers to be better informed about their destination, upload and share insta-worthy pictures more quickly, and keep their wits about them in unfamiliar terrain. For smart travelers, smart backpacks are the only choice. If you're a freelance or remote worker, you know the importance of a having a backpack with pockets that protect your laptop and tablet. It's also important for them to give you a charge when you need it. We've reviewed a few of the top-selling smart backpacks on the market to eliminate the guess work for you. Why Get a Smart Backpack? Perhaps you are of the camp that smart backpacks are simply another way for manufacturers to draw in sales with the "latest and greatest." While technological products can be polarizing, a quick assessment of the advantages of a smart backpack illustrate that these travel necessities live up to the hype. Check out these backpack features and narrow down your picks for the best smart backpack. Yep, your old backpack and laptop bag (or laptop sleeve) are relatively convenient. But, is it as convenient as it could be? Is it a solar powered backpack? Do you have a charging backpack? Unless you are rocking a smart backpack, the answer is probably not. Smart backpacks mirror the functionality of traditional over-the-shoulder, on-the-back packs, but show a greater attention to traveler's needs. Between the modern conveniences of home and the expected utility of packs, a smart backpack combines what travelers need with the sense of connection they crave. It's pretty clear that smart backpacks are a convenient choice, but it also has another advantage. The ease of access to information makes investing in smart backpacks a wise decision. Rather than dealing with the hassles of converting your phone plan to one that has international capabilities, smart backpacks allow you to find WiFi hotspots, and in the case of some bags, be the hotspot yourself. It's no wonder that the sales of this great travel accessory have skyrocketed. This proves that travelers' needs are evolving, while concurrently offering a viable, useful solution. While the best travel backpacks (yes, even the less intelligent ones) offer some degree of organization, smart backpacks take things to the next level. Being that these packs are designed with techies and ever-connected individuals in mind, the organization of smart backpacks caters to your devices. Some smart backpacks even have a USB port to charge your phone and laptop. With compartments such as a laptop sleeve, multiple holes for earphones and chargers, and divided sections, smart backpacks prevent your iPad from banging up against your laptop. Extra pockets aren't just a place to freak out over where you put your passport. They provide a great sense of utility. Despite their universally appealing advantages, some travelers may still be skeptical about purchasing new smart backpacks. 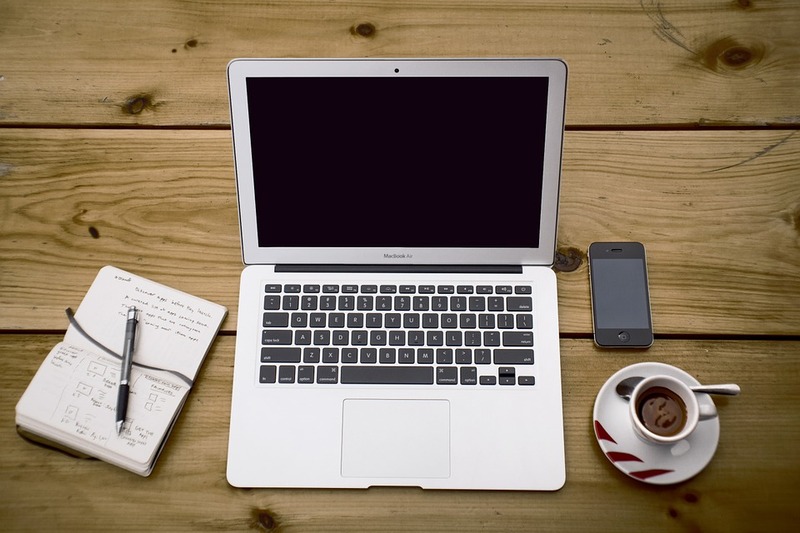 To further demonstrate their efficiency, we've compiled a list of common features. With so much to offer, even the most discerning of travelers finds options suitable for their excursions. The world of smart backpacks is vast. Be sure to check the specifications on the product to be purchased. Some features such as holes for cords may be standard, while less advanced models may not be WiFi enabled. Nonetheless, smart backpacks give the ease of companionship that your run-of-the-mill backpack does, while simultaneously going the extra mile by containing the luxuries of home without requiring a modem and router. Given that smart backpacks are quite a departure from your typical pack, choosing from all the smart backpacks may seem daunting. Between different styles and features, it gets a bit confusing. We've broken it all down into steps to help get you started! 1. Do my travels dictate or warrant consideration of smart backpacks? 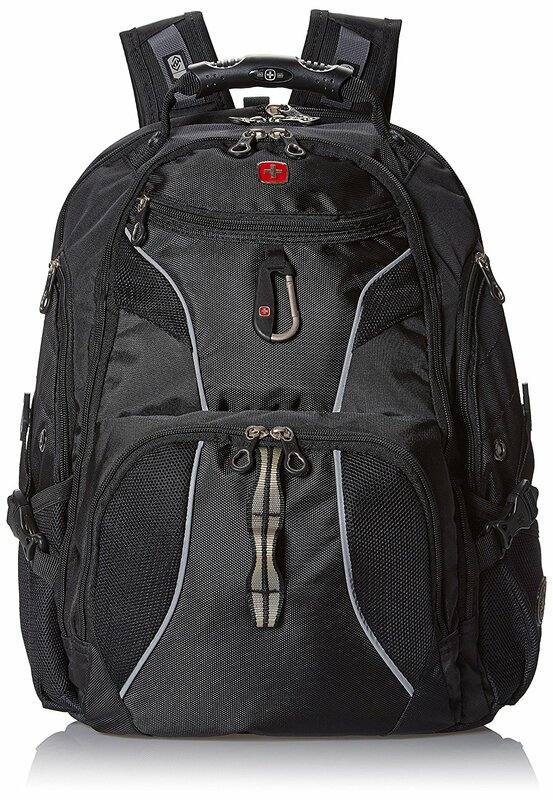 Identifying if your travels warrant a smart backpack is the first step in the process. If you're just going on a weekend trip and staying in a hotel, smart backpacks may not seem like a necessity. However, for anyone who has found themselves camping in the woods and in need of good tunes, a smart backpack's utility is evident. However, it isn't just the luxury that makes these novelty items worth it. Think of a time you were lost in unfamiliar surroundings with a dying phone. Remember how scary that feeling is? Smart backpacks eliminate this fear by providing you a portable power source and a cord with which to charge. While your old backpack may be doing just fine, smart backpacks are the wave of the future. For trekkers on the go, we at trekbible believe these products to be useful and helpful. 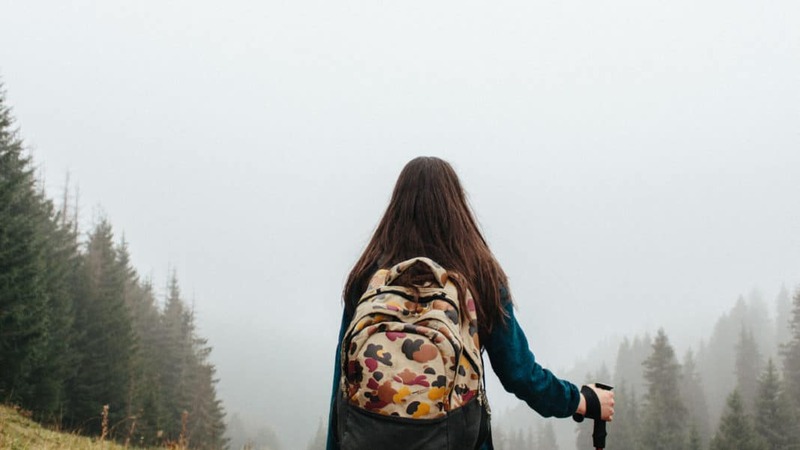 Although you may be partial to the old-fashioned backpack, most people would benefit from the connection that smart backpacks offer, particularly travelers. Identifying if your travels warrant a smart backpack is the first step in the process. 2. What do I need from my new smart backpack? Not all smart backpacks are created equally. We highly recommend reviewing the specifications of each product, in addition to reading reviews from fellow travelers. Even still, it is helpful to know what YOU want and need from your pack. For example, if you enjoy hearing music whilst hiking, consider a pack with built-in speakers. If you have multiple devices, a multi-port bag is essential. On the other hand, if you simply want peace of mind in the event of an emergency, a lower power battery pack may be all that you need from a smart backpack. Regardless of where you are going and what you will be doing, we promise there is a solution to fit your needs! As great as smart backpacks are, failure to consider the capacity and size can be of the utmost detriment when traveling. While perusing your options, pay close attention to both the inner capacity of the bag, as well as the exterior measurements and weight. The last thing you want is a bag that keeps you connected but isn't spacious enough to hold all of your belongings. On the same note, you also want to ensure that the bag will not be too cumbersome. Attention to capacity and size now saves travelers stress and heartache later. Just as with the size and capacity, attention to quality craftsmanship is essential. After all, what good is a bag that falls apart after one trip? For this reason, we highly recommend reading reviews on each product. Generally, other travelers are extremely helpful in alerting others as to whether there are issues with the product's stitching, zippers, and straps. The last thing any travelers wants is a pack that bursts at the seams. Be sure that your investment is a worthwhile one! The nature of your travels might determine your awareness of security issues, but that doesn't mean it isn't an important consideration. Even if your travels only consist of domestic weekend hikes, features such as a lock or hidden compartments greatly enhance the amenities offered by many smart backpacks. For added peace of mind and personal safety, there are a number of products that include simple improvements to traditional designs. These ensure that you remain safe while on the go, as do your belongings. Once you've evaluated if a smart backpack is the best option for you, it's time to get to the fun part! There are ample smart packs on the market with a myriad of features. Regardless of where you plan to take your bag, staying connected won't be an issue. Got2go.com knows that technology is only as convenient as its battery life. While on the go, especially during international travel, maintaining a high battery percentage can often mean the difference between a great trip and an awful trip. This is mostly due to the fact that we trekkers rely so heavily on map apps to get us going in the right direction, cameras to capture beautiful shots, and ever-trusty search engines that pinpoint the greatest spots to eat. Got2go.com's bag wants to ensure that your trip is on the end of the spectrum labeled "SPECTACULAR." Their G2G-200 smart backpack maintains your connection to the outer world while keeping your travel details in line. This is made possible through an integrated 7000mAH battery and docking station. The station is compatible with most smart devices, thereby eliminating the need to unravel miles and miles of cords. In fact, trekkers may choose to use either the internal or external USB ports depending on what is most convenient for them. While the battery adapter is a beast, the company provides an LED status indicator on the front of the pack to alert the wearer to recharge the DC power adapter. It isn't just about the tech with Got2go's pack though. To enumerate, the premium product features three spacious storage compartments to serve the purpose of organizing your devices, papers, travel documents, and more. No matter whether you travel for business or pleasure, this bag keeps you in the know and organized while on the go. With a one year warranty and the promise of keeping you amped up, the G2G-200 smart backpack from Got2go makes a great choice for the intelligent traveler. Light stays on while charging, which some reviewers note could be a safety concern depending on where you are. What about a smart backpack for the more adventurous souls? Not to worry, as ECEEN makes a quality product that blends the needs and wants of trekkers and techies. Thus, this pack is perfect for journeys that require getting off the beaten path. ECEEN constructed their smart backpacks of cotton polyester denim fabric. The result is a wrinkle-free quality texture that is complemented by comfortably wide, thick shoulder straps. This ensures that even whilst navigating through jungles or other treacherous terrain, the weight of your devices won't kill your back. No longer is it necessary to choose between a pack that is up for the hike over a pack that keeps you plugged in. To achieve this remarkable feat, ECEEN designed these smart backpacks with a panel of removable (and bendable) solar cells. The 3.5 Watts panel boasts 22% efficiency in solar charging, proving itself as the best bag for those who need it all. To protect the panels from damage and scratches, ECEEN has also enclosed these in a protective coating to ensure weather and water resistance. In addition to its incredibly convenient solar panels, this smart backpack comes complete with a built-in 2,000mAh Li-Polymer battery pack for nighttime charging. This waterproof cell works for iPhone, Android, external battery packs, GPS navigation, music devices, speakers and more. An LED light also provides an SOS/Emergency flashing setting that is perfect for campers, hikers, bikers, and the likes. We also love that ECEEN throws in four carabiners and a micro USB cable with your purchase. ECEEN proves that having a pack that does it all is more realistic that you may have thought! ECEEN constructed their smart backpack of cotton polyester denim fabric. The result is a wrinkle-free quality texture that is complemented by comfortably wide, thick shoulder straps. This ensures that even whilst navigating through jungles or other treacherous terrain, the weight of your devices won't kill your back. No longer is it necessary to choose between a pack that is up for the hike over a pack that keeps you plugged in. 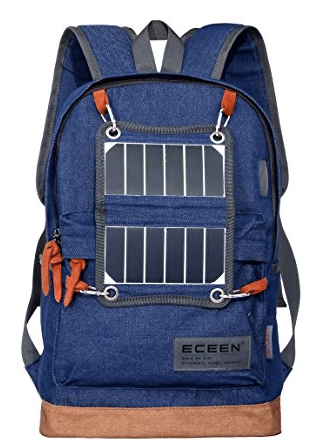 To achieve this remarkable feat, ECEEN designed this smart backpack with a panel of removable (and bendable) solar cells. The 3.5 Watts panel boasts 22% efficiency in solar charging, proving itself as the best bag for those who need it all. To protect the panels from damage and scratches, ECEEN has also enclosed these in a protective coating to ensure weather and water resistance. 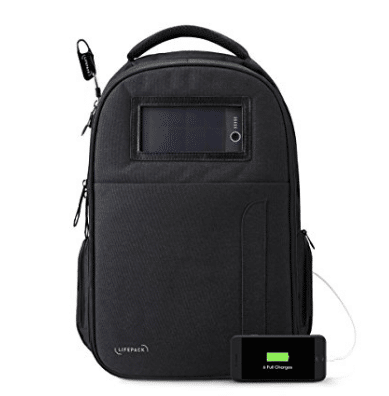 In addition to its incredibly convenient solar panels, this smart backpack comes complete with a built-in 2,000mAh Li-Polymer battery pack for nighttime charging. This waterproof cell works for iPhone, Android, external battery packs, GPS navigation, music devices, speakers and more. An LED light also provides an SOS/Emergency flashing setting that is perfect for campers, hikers, bikers, and the like. We also love that ECEEN throws in four carabiners and a micro USB cable with your purchase. ECEEN proves that having a pack that does it all is more realistic that you may have thought! Lifepack asserts that its smart backpack is ready for anything. This assertion is comforting for travelers in need of a bag that handles it all. In terms of functionality and amenities, Lifepack's smart backpack is a real winner on our list. Included in your purchase of the Lifepack smart backpack are all of the comforts -- of home, of mind, and of travel. The brand achieves this with attention to detail in all facets of the product. To enumerate, this bag contains a 3-in-1 solar power bank, Bluetooth speakers, and a cable lock. Not only does this pack keep trekkers in the know, it also secures their belongings in the process. Lifepack's solar bank is unique from others in that it stores six smartphone charges. It doesn't stop there though! The bank regenerates one extra charge for each four hours of sunlight it receives. Rather than running out of charge, Lifepack works smarter, not harder, to keep you at 100%. It isn't just the technical aspect travelers love about these smart backpacks . It's also the added bonuses. For instance, when was the last time your backpack allowed you to project your favorite tunes from built-in Bluetooth speakers with over 96 hours of playback? Or when was the last time your pack came complete with a retractable, combination cable lock? When was the last time you didn't worry about the rain because your bag is water resistant and includes a rain cover? Or when was the last time you found a bag with all of these amenities AND four hidden compartments? If you answered, "NEVER," it's time to reconsider your pack priorities. Lifepack's bag includes all of the features discussed in the questions above. Thus, this is one of the most complete and well-designed smart backpacks on the market. Lifepack asserts that its smart backpack is ready for anything. This assertion is comforting for travelers in need of a smart pack that handles it all. In terms of functionality and ammenties, Lifepack's smart backpack is a real winner on our list. Included in your purchase of the Lifepack smart backpack are all of the comforts -- of home, or mind, and of travel. The brand achieves this with attention to detail in all facets of the product. To enumerate, this bag contains a 3-in-1 solar power bank, Bluetooth speakers, and a cable lock. Not only does this pack keep trekkers in the know, it also secures their belongings in the process. It isn't just the technical aspect travelers love about this smart backpack though. It's also the added bonuses. For instance, when was the last time your backpack allowed you to project your favorite tunes from built-in Bluetooth speakers with over 96 hours of playback? Or when was the last time your pack came complete with a retractable, combination cable lock? When was the last time you didn't worry about the rain because your bag is water resistant and includes a rain cover? Or when was the last time you found a bag with all of these amenities AND four hidden compartments? Interested in a smart backpack but unsure of where you will take it? Ghostek eliminates this question with its universally appealing smart backpack. With such functionality, its no surprise that trekkers report taking this pack to school, work, the gym, hiking, camping, biking, and many other places. However, with one glance at this smart backpack's ammenties, it's easy to see why this bag is such a hit. 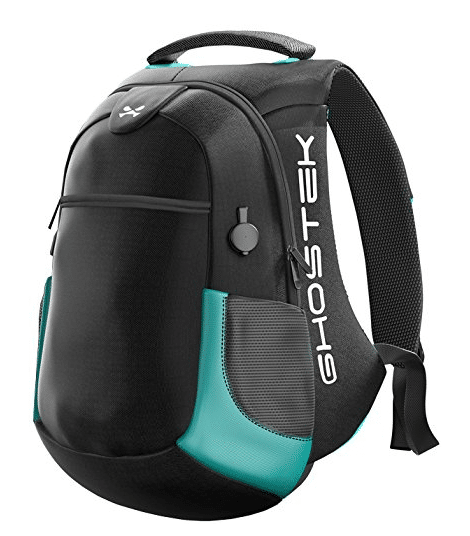 At first look, Ghostek's smart backpack presents itself in the form of a sturdy, eco-friendly polyester bag. Upon further inspection though, travelers will realize there is more than meets the eye. 40 Liters of capacity, a roomy laptop compartment, water resistant materials, and technology combine to create a stellar pack. This smart backpack includes a built-in 16,000mAH battery, a fact that keeps your devices fully charged for hours. 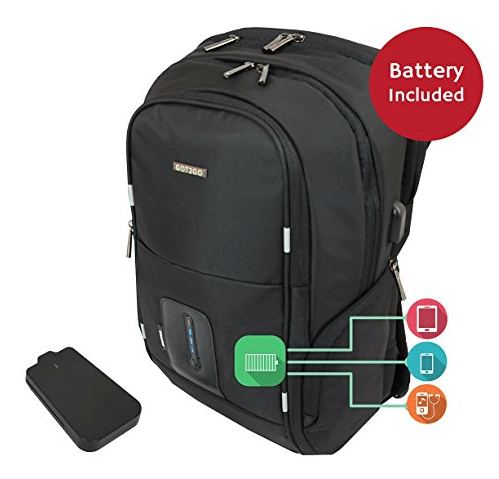 Three USB ports, two power banks, and an LED indicator give this bag the perfect amount of technology without sacrificing quality and utility. For a durable and all-weather pack with a hint of modern convenience, Ghostek is the top choice of trekkers. Interested in a smart backpack but unsure of where you will take it? Ghostek eliminates this question with its universally appealing smart backpack. With such functionality, its no surprise that trekkers report taking this pack to school, work, the gym, hiking, camping, biking, and many other places. However, with one glance at this smart backpack's ammentieis, it's easy to see why this bag is such a hit. TYLT is always looking to push new boundaries and create groundbreaking technology. 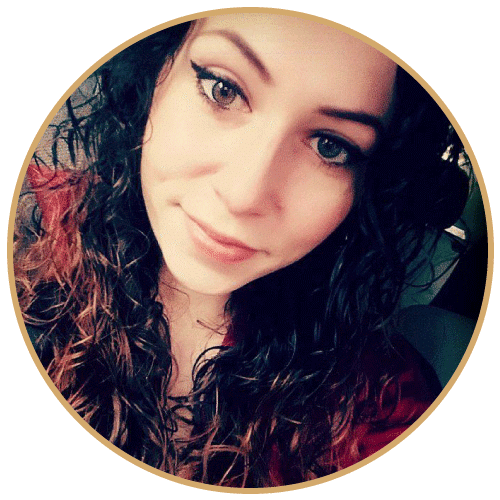 Since 2011, their goal has been to provide a mobile design, high-quality designs, easy to use designs, and exceptional value to their customers. 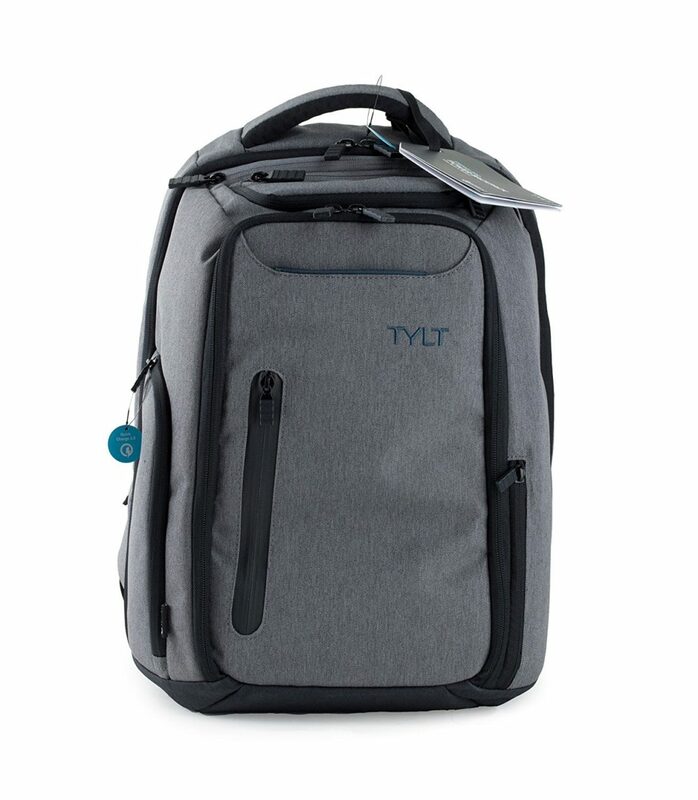 The TYLT Energi is the only backpack that can provide a full charge to your phone, tablet, and your next-gen laptop. Twelve internal pockets provide enough storage space to ensure all your needs are covered. With the Energi Pro, you can get power from your backpack, simultaneously charge up to 3 devices, and more. Built-in anti-theft devices mean you can rest easy knowing your belongings are safe and secure. The SwissGear SA1923 is made for convenience and functionality and loaded with features. This bag comes with a fully-functional laptop compartment. It is not only airport friendly, allowing to keep computers up to 15 inches safe when passing through TSA security. Regardless of your travel personality and your bucket-lists destinations, we've got something for everyone. Of course, please feel free to comment with ideas for future content. Smart travelers know that a successful trip begins and ends in the details. While your backpack of choice may be a seemingly small consideration in the grand scheme of things, its efficiency and ability to withstand travel while offering the comforts of home is important. A smart backpack ensures that you are never without power wherever you are in the world. If you enjoyed reading this article, check out our piece on smart suitcase brands here. Staying connected while on the go has never been easier!